In a recent paper published in the Journal of Human Kinetics, a multi-university group of academics attempted to compare the levels of antioxidants in plasma following 20 minutes of treadmill running at a submaximal exercise intensity and a maximal effort at the CrossFit workout Cindy. There was no hypothesis forwarded, it was a straightforward descriptive study so no presumptions for direction of any measured changes should be apparent or implied. While this is an interesting, but not an innovative, idea—to describe a potentially different outcome between a submaximal and maximal exercise protocol—there are a number of misunderstandings and misstatements littered throughout the paper. The first is an assumption that larger levels of oxidative stress induced by more intense exercise is harmful. The authors posit that monitoring “internal environmental stress fluctuation” would enable determination of harm or benefit. There is no existing data demonstrating a dose-response for exercise-oxidative stress indicative that exercise-induced oxidative stress is any more than a transient disruption to homeostasis that drives adaptation and fitness improvement. They attempt to use two papers by Alessio and Hagerman (2006) and Powers and Jackson (2008) to support their contention of oxidative harm. However, reduced performance and delayed post-workout recovery are markers of disruption of homeostasis—needed to drive adaptation—not evidence of harm. They further suggest that as CrossFit training does not utilize programmed rest periods, oxidative stress will likely increase. Interestingly, the modality chosen for comparison, running at 90 percent HRmax for 20 minutes, does not utilize rest intervals. This makes the rationale for explaining why CrossFit might increase oxidative stress (no programmed rest) more relevant to the treadmill protocol. The CrossFit workout Cindy was described as having a light load and moderate time requirement. The authors completely misunderstand that Cindy is a MAXIMAL workload. They do describe the workout as the maximum rounds of 5 pull-ups, 10 push-ups and 15 squats in 20 minutes, but they fail to appreciate that the amount of work completed in the 20 minutes represents a physiologically maximal workload. It is anything but a light load. If there is a rationale for expecting increased oxidative stress from CrossFit, it is because of the high work outputs compared to submaximal treadmill running. With this said, the researchers did not provide any data on how many rounds of Cindy the subjects accomplished and there was no data on how far the subjects ran on the treadmill, making any conclusion(s) made specious. It is essential in exercise studies to provide concrete measures of work output in order to enable valid comparisons and conclusions. Why weren’t the number of Cindy rounds reported? Why weren’t the treadmill distances reported? Cindy can produce a tremendous spread of results among individuals, from the pull-up limited person struggling to get more than a half-dozen rounds completed up to the incredibly fit person who works non-stop to approach 30 rounds. The VO2max data reported on the subjects, 44ml/kg/min or approximately average for young adult males, suggests that the subjects were likely to have completed fewer rounds with many breaks. As part of the basis of the experiment was an assumption that the non-programmed rests in a CrossFit workout makes it more likely to produce oxidative stress; quantifying the number and durations of rest were essential but omitted. The paper here depended on indirect estimates of exercise intensity, heart rate and rating of perceived exertion, which weakens the paper. How can we know anything about an acute exercise response if we know nothing about the actual exercises used? Another design flaw was that the interim number of days between sessions was hugely variant. Some subjects came in for subsequent sessions at 72 hours, some came in one week after the previous session. Human research is notoriously difficult as subjects often may not comply with instructions and the researcher has to adapt on the fly. Regardless, the temporal variability in treatment application may have affected the results. As for the data that was actually reported, heart rate was consistently higher across all time points for the CrossFit workout compared to treadmill running. This is not surprising as it is a comparison of a maximal-work-output session to a submaximal-work-output session. Also unsurprising was the rating of perceived exertion data. The subjects felt they were working harder during the CrossFit workout compared to treadmill running. As for oxidative stress data, while some values indicated more oxidative stress after Cindy, it appears that there was not a statistical difference. Although flaws in design may have masked or spuriously affected the outcomes here, the data is the data. So, in the results section we are told that exercise intensity, as indicated by heart rates and ratings of perceived exertion, are significantly different between the two different workouts, but that the oxidative stress response are statistically similar. Fair enough, even with significant design limitations we have learned something, albeit very little. Curiously, the authors pen some very creative prose in the discussion that seems to—well, actually does—conflict with the data they produced. Despite being significantly different between the two exercise conditions, the authors say that the workouts were “normalized for time and HR intensity.” Their meaning here seems to be that they controlled exercise intensity by actively controlling the heart rates of the subjects—apparently they are saying they modulated work done to generate identical heart rates in both workouts? This is absolutely not the case as only the treadmill running incline was modulated to control heart rate. There were no such controls in the CrossFit workout. Further, a case cannot be made that heart rates were the same, their own results section demonstrates this, and by convention the higher heart rate indicates a higher intensity. This difference in intensity—as they define intensity—negates a substantial portion of their discussion where the authors attempt to align their data to previous works showing that oxidative stress is responsive to differences in intensity. As there were no differences noted in this study, the authors grasp at a straw to make their paper align with others, suggesting that since both the heart rate for Cindy and for treadmill running met the ACSM criteria for “vigorous exercise,” they were de facto the same. This is a rather empty argument not supported by data or physiological fact. Making such a statement is made even more difficult by the RPE data demonstrating a difference in intensity. Why this argument is made and why the data produced was discounted in the discussion is perplexing. 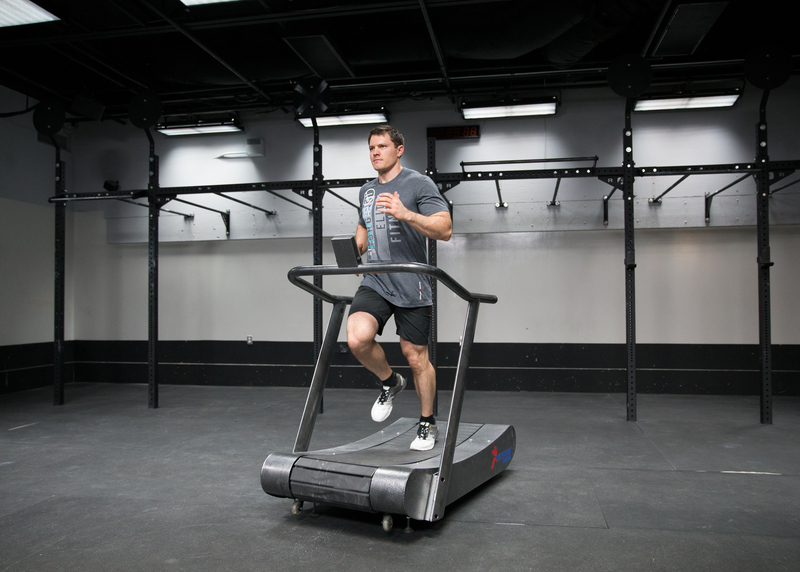 For what reason would a group of researchers go to such great lengths to demonstrate (unsuccessfully) that CrossFit training is physiologically the same as submaximal running on a treadmill? Lon Kilgore earned a Ph.D. from the Department of Anatomy and Physiology at Kansas State University’s College of Veterinary Medicine. He has competed in weightlifting to the national level since 1972 and coached his first athletes from a garage gym to national-championship event medals in 1974. He has also competed in powerlifting, the first CrossFit Total event, wrestling and rowing. He has worked in the trenches, as a qualified national level coach or scientific consultant with athletes from rank novices to the Olympic elite and as a consultant to fitness businesses. He was co-developer of the Basic Barbell Training and Exercise Science specialty seminars for CrossFit (mid-2000s) and was an all-level certifying instructor for USA Weightlifting for more than a decade. He is a decorated military veteran (sergeant, U.S. Army). His illustration, authorship and co-authorship efforts include several best-selling books and works in numerous research journals. After a 20-year professorial career in higher academia, he currently delivers vocational-education courses through the Kilgore Academy, provides online commentary and analysis of exercise-science papers, and works as a writer and illustrator. His training concepts and fitness standards have been included in textbooks and numerous websites. You can download free PDFs of his exercise performance standards here. HR is not always a good predictor of intensity thus higher heart rate does not necessarily equal higher intensity. Exercise intensity is defined as the amount of calories expended at that point of exercise. With CrossFit WODs, such as Cindy, intensity begins high but then diminishes as the participant fatigues. By the end of the WOD, depending on the participant’s fitness level, it is likely the workout is of low intensity by scientific definition. The HR remains elevated despite low intensity due to the onset of blood lactate accumulation and need to remove excess hydrogen ions in the blood through the lungs.